When I realized that Mercury was headed into Retrograde on August 30, I decided to tune into the 22-day period so many people dread with a dedicated sense of awareness. Perhaps in doing so, I wouldn’t be broadsided by the backward motion. When the crux of what you do is project manage all day, a bad run of misinterpreted emails and calls layered with scheduling mishaps is mis-er-y . My embrace of the period included grounding myself. Kyanite helps (thank you Dennis, Rainie and Crystal Guy Gene for opening me up to this) so my dangles were as essential everyday as my toothbrush and glasses. I observed more and meditated. Being mindful in this way curbed my natural instincts to control and drive the state of things. I began to figure out how to allow situations to evolve and resolve without my overt meddling. That felt good. 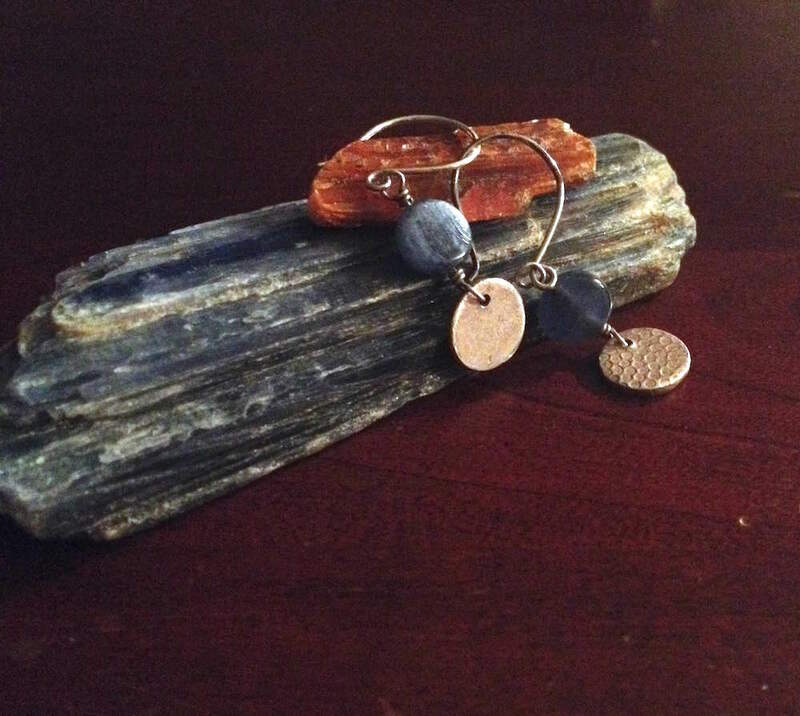 Small things I treasure: blue Kyanite from The Crystal Guy, orange Kyanite from sweet friends, Dennis and Rainie, earrings designed by Teresa Yee. Heard the term Mercury in Retrograde but not sure what it means? This little summary from Farmer’s Almanac is a good place to start. There’s one more in 2016 — just in time for the holidays. Joy!